Buying a Gaming Computer at Walmart! Walmart is pretty much my one-stop shop when it comes to Christmas shopping. With 3 kids to buy for ranging in ages of 20 months to 13 years old, I know that I can find everything I need all in one place. It makes it pretty nice. This year my 2 youngest kids were easy to buy for. They like the typical toys and games. But my 13 year old son, is super hard to buy for. After looking online at gift ideas for teen boys I decided that one of the best gifts for him would be a gaming PC. Now I’m not a gamer, so I had no idea where to start. Thankfully Walmart helped me figure out the best gaming computer for people who like to play video games. And the best part is, it’s under $1000! 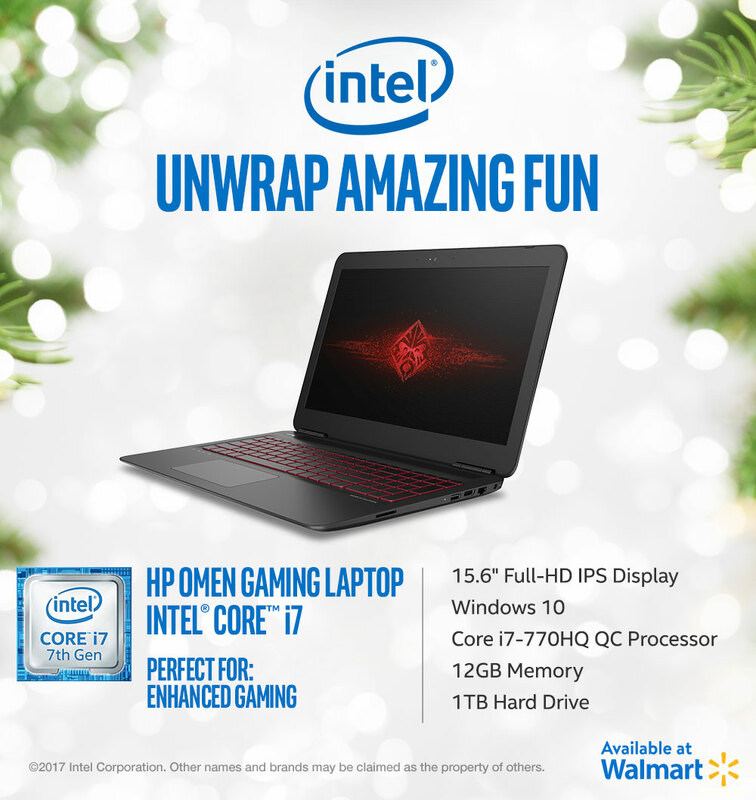 The HP Omen Gaming Laptop with Intel® Core™ i7 is the first gaming laptop available at Walmart. 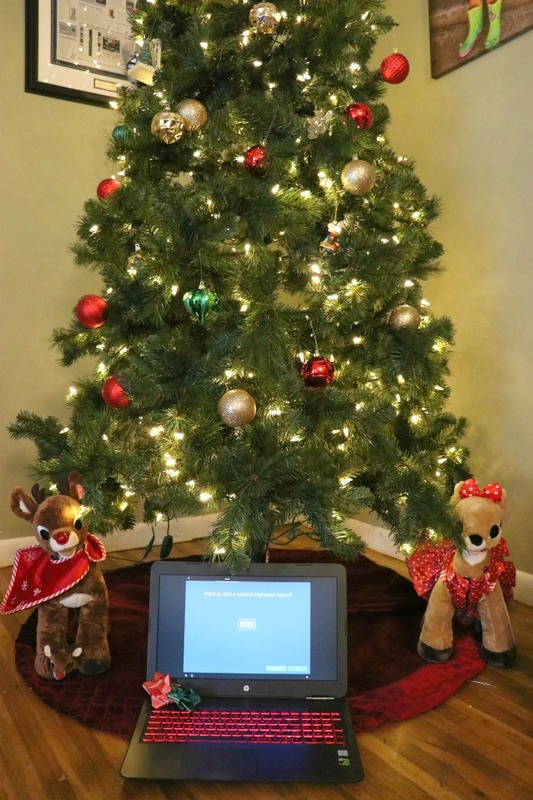 This laptop takes gaming to a whole new level and I am super pumped about seeing my son’s face on Christmas morning! The HP Omen comes equipped with powerful hardware and super sleek design. Here are just a few of the features you’ll find with the HP Omen Gaming Laptop. 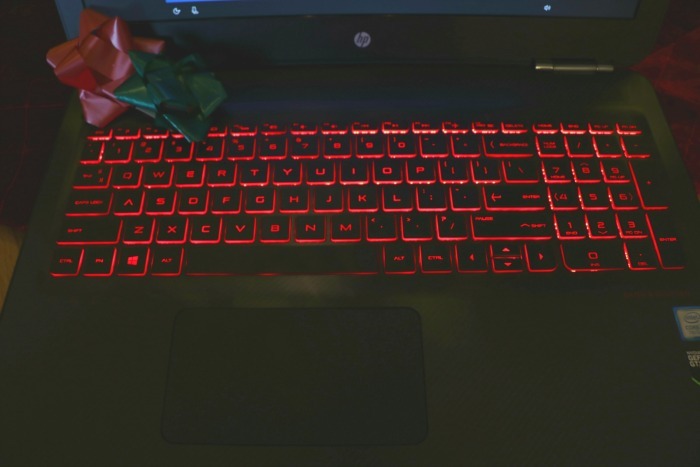 With the HP Omen you can command every keystroke on a Dragon Red backlit keyboard with highlighted WASD and 26-key rollover anti-ghosting, which helps ensure every keystroke is detected. Level up to the latest hardware and make upgrading a breeze with single panel access to internals. An optional Thunderbolt 3-certified USB-C™ port, 3 USB Type A ports, and a HDMI port lets you easily adapt to all the action. This is the perfect gaming PC and you can find it at WALMART! There are a lot of gamers out there and if you are looking for the perfect gift, look no more! 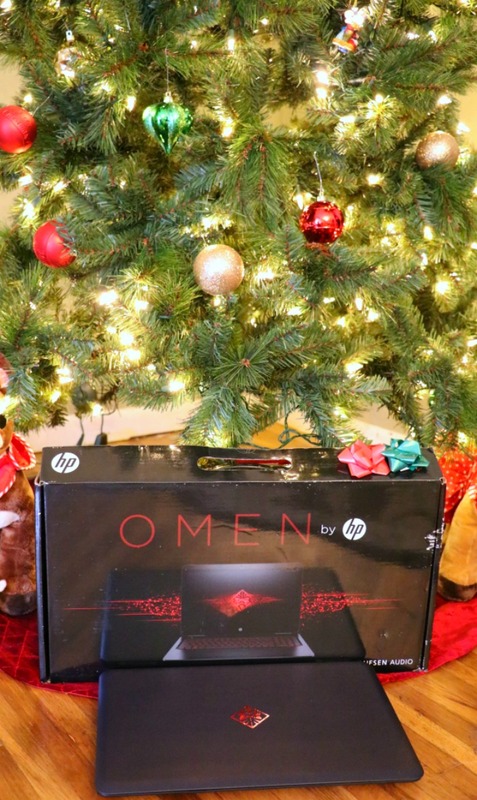 Christmas morning is going to be super exciting here at the Mom Luck house and I can’t wait to see my son’s face when opens his new HP Omen Gaming Laptop Intel® Core™ i7 on that special day. Who wouldn’t love to win a free laptop. 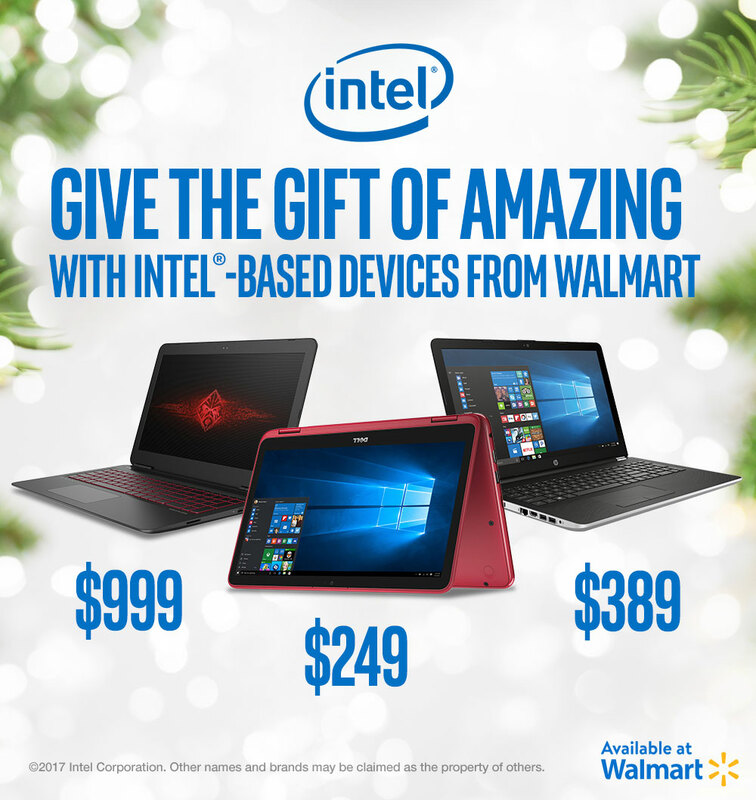 Well now is your chance to win 1 of 6 Intel® powered laptops. All you have to do is atch the videos and enter for a chance to win an Intel®-based laptop of your own. Six winners will be chosen randomly throughout the Sweepstakes Period, and you can come back daily for more chances to win! So what are you waiting for? Go enter HERE!